Toshi Yoshihara is a senior fellow at the Center for Strategic and Budgetary Assessments (CSBA). Before joining CSBA, Toshi Yoshihara held the John A. van Beuren Chair of Asia-Pacific Studies at the U.S. Naval War College where he taught strategy for over a decade. 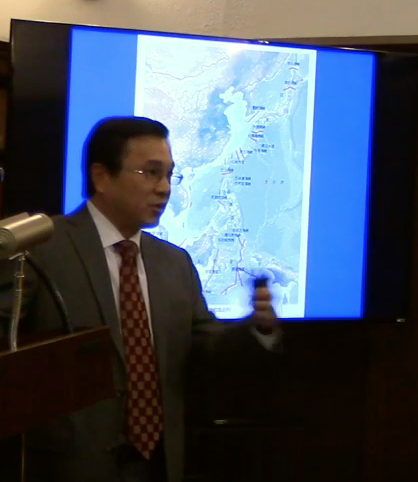 He was also an affiliate member of the war college’s China Maritime Studies Institute. Dr. Yoshihara has been a visiting professor at the Fletcher School of Law and Diplomacy, Tufts University; the School of Global Policy and Strategy, University of California, San Diego; and the Strategy Department of the U.S. Air War College. He is co-author of Red Star over the Pacific: China’s Rise and the Challenge to U.S. Maritime Strategy (Naval Institute Press, 2010), which has been listed on the Chief of Naval Operation’s Professional Reading Program since 2012. Translations of Red Star over the Pacific have been published in China, Japan, South Korea, Taiwan, and Germany. He holds a Ph.D. from the Fletcher School of Law and Diplomacy, Tufts University, an M.A. from the School of Advanced International Studies, Johns Hopkins University, and a B.S.F.S. from the School of Foreign Service, Georgetown University.